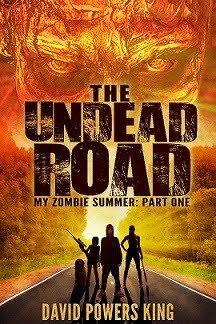 David Powers King: Post: Zombify Winners, Sky Jumpers, Poison, Silent Orchids, and Top Ten Movie Countdown Blogfest! 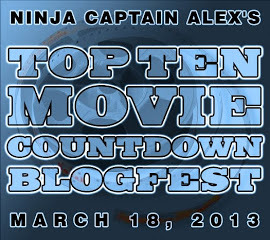 Post: Zombify Winners, Sky Jumpers, Poison, Silent Orchids, and Top Ten Movie Countdown Blogfest! Welcome back! Now, which of you is ready to become a zombie? For those of you who want to skip to the blogfest, scroll on down! I'll be in touch with you shortly to discuss the nitty-groady. I might even let you have a say in your demise. Choose your own, right? Oh, and let's not forget the random winners of these three books! Aurora Smith! Alex J. Cavanaugh! Melissa Maygrove! Email me here with an address or an email to your eReader. Thank you all for making this 4th Blogoversary a killer! I'll be sure to calender next year's 5th, because that's just asking for a party! 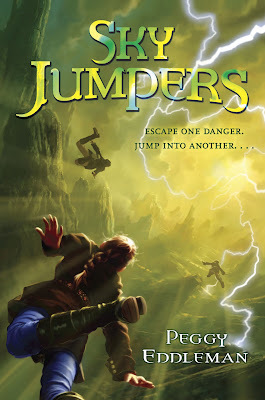 Like pie in the sky, I am so excited to share the cover reveal for Sky Jumpers, the debut novel from my critique partner Peggy Eddleman that is sure to take the MG world by storm this Fall. Check it out! I just recently heard of this awesome-sounding book, but when I heard the story behind it, I was sincerely heartbroken. I am behind the times, but I'd like to spread the word. Bridget Zinn, the author of Poison, battled with cancer and ultimately left us, before her debut novel became available. It is now, and I sure can't wait to read it! Thank you for giving us Rosie, Bridget! 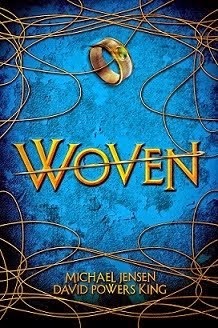 One more cover reveal before we move on to the movie blogfest. 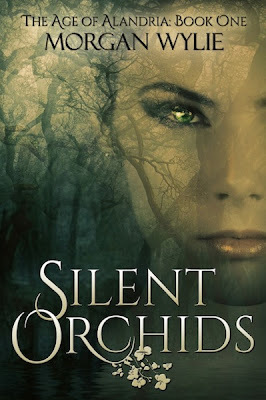 This stunning art for Morgan Wylie's Silent Orchids should excite you! Looking great, Morgan - congrats! 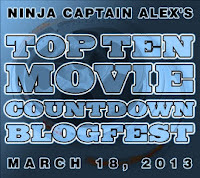 I told myself, the next time Alex J. Canavaugh does a blogfest, I was going to do it. And here I am. Doing it. How about that? And you know something else? I love movies. I grew up near Hollywood. Heck, I was born across the street from Disney Studios. Pretty much sealed my fate in wanting to create fiction. Now, I love movies so much, I can't possibly rank them unless they're broken up into their own categories. And so, I'm going to let me animation nerd out and share with you my personal Top Ten Animated Films! This is more than just me liking it, but the impact these films had and the contributions they made to the industry. (In other words, this list is fact mingling with personal opinion). Enjoy the countdown! #10: Shrek - This film really got the ball rolling for Dreamworks Animation, and it also set a new standard in satire, which is evident in animated films to this day. Taking all things fairytale and spinning it on its head, no one knew what to expect, and we left with happy tears. Not to mention, Shrek also won the very first Academy Award for Best Animated Film. #9: Toy Story - Ah, yes ... the decorated feature debut from Pixar Animation! While I don't exactly have a very high opinion of what came after, those haven't sullied what made the original a great film. Toy Story paved the way for computer animated features and proved how powerful nostalgia can be in the box office, which led to an industry-wide marketing revolution. #8: Fantasia - The 3rd feature from Walt Disney himself deserves a great deal of merit. Because it was meant to be a "concert feature," theaters had to upgrade their sound systems in order for the audio to work. That, and it was a hard-earned test of synchronizing music and moving pictures, the most ambitious and successfully executed achievement for animation in its time. Again, another standard setter. #7: Ratatouille - I'm sure to get a mixed reaction here, as I've heard some say that this film is "boring," but for me, this film really struck a cord, and it also showed me a great and valuable example of properly applied research. The film's director knew nothing about what happens in the kitchen of a 5 star restaurant, so he went to them, took notes, and gave us a most convincing portrayal of one, and with a rat protagonist, no less! #6: Gulliver's Travels - Snow White and the Seven Dwarfs is credited for being the first animated feature film - ever - but sadly, that's not enough to make it on this list. Shortly after Snow White, Gulliver's Travels was released by Paramount Pictures and, at the time, was more successful at the box office and more critically appraised for its copious animation sequences and the invention of Rotoscoping. Sadly, Gulliver fell into studio absorption and has been in obscurity since. #5: How To Train Your Dragon - When the ads for this March release had my attention, I didn't think much about it. I mean, what great movies come out in March, right? But then, when I saw this, I had my mind blown. The story, music, setting, stylistic choices, art, consequences ... I have yet to spot a single flaw in this film, to which other studios have rushed to capitalize on what made this work. This set a standard for 3D in animated films. #3: Princess Mononoke - I was not a fan of Japanese Animation growing up, not sure if it was the bad dubbing or how the characters always summoned balls of energy from their hands, but it was this film that changed my perspective, and turned Studio Ghibli into the animation juggernaut that it is today. This is a compelling storytelling done right, with a great score and fluid detail. In my opinion, this is the very best of all the Hayao Miyazaki's films. #2: Pinocchio - This was Disney's response to Gulliver's Travels, outdoing Snow White in every visual and technical aspect, and it also secured Walt Disney's title of "Top Animation Leader" in the world for decades to come. The fact that Walt Disney' Studio's promo theme is still "When You Wish Upon a Star" is telling you something. On many levels, it speaks to my inner child and ancestral roots. That's no lie! #1: The Secret of NIMH - Up until this film came out, little stood in the way of Disney's reign, even during it's fizzling late 70's. NIMH was a game changer, and a rare example of a film that outdoes its source material. NIMH caused a revolution, led by Don Bluth, breaking the mold and broadening the overall animation audience, and that scene with the cement block at the end gives me "warm chills" to this day. This also came out when I was born. Destiny! Before I forget, let's have a warm welcome to the latest members of our Cosmic Crew! Happy to have you aboard. 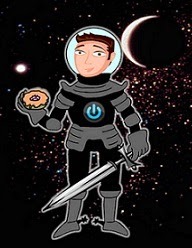 Grab a virtual cruller! 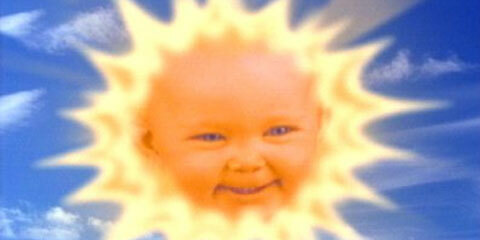 I'd like to thank Al Diaz for tagging the Creepy Baby Sunshine Award onto me! It's been going around lately! I get to answer questions and pass this on to a few others. You ready for this, Creepy Baby? "You will serve me pie ... in the sky!" What inspired you to start blogging? - James Dashner told me to. How did you come up with the name of your blog? - I wanted a place for all things sci fi and fantasy - the name was up for grabs. What is your favorite blog to read? - Too many to name! Tell about your dream job. - Starfighter Pilot or Dragon Rider. Is your glass half full or half empty? - I'm too thirsty to tell. If you could go anywhere for a week’s vacation, where would you go? - Any place where I'm still at the top of the food chain. What food can you positively not eat? - Shellfish - I love it, but it doesn't love me. Dark chocolate or milk chocolate? - Shut up and take my money! How much time do you spend blogging? - 5 hours a week, maybe? Do you watch t.v. and if so, what are your favorite shows? - Only what we get through Netflix - Psych, Walking Dead, choice Animes. Update: Have you noticed the word meter for Undead? It's finally moved a little. A small setback made me look at a few chapters again, but this time, I promise it's new material from here on out until this thing is done. Our map is almost finished for Woven, and if all goes well, we may have a reveal (for the map - no cover yet). We're also looking into producing a trailer in July. Exciting things are coming your way, my friends, so stay tuned. Get ready for a week of cool posts! I'm David, and who else is seeing The Croods this weekend? Excellent choices! Glad you didn't miss the blogfest. Ratatouille was one of Pixar's best. And congratulations to everyone with new books. I love seeing How To Train Your Dragon on so many lists today. It certainly deserves the attention. And a big shout to to Secret of NIMH. Awesome! I'm going to be a zombie! You have no idea how excited I am right now. *jumps up and down* Yay yay yay! Thanks, David! Loved NIMH and Peggy's cover looks amazing! I'm so sorry about the shellfish. :( And you like Psych? Whaaat? Oh, you know that's right. Love your list! I was so sad to read about Bridget (I'm behind on the times too). So sad. Excellent list of movies, and thanks for the book suggestions. 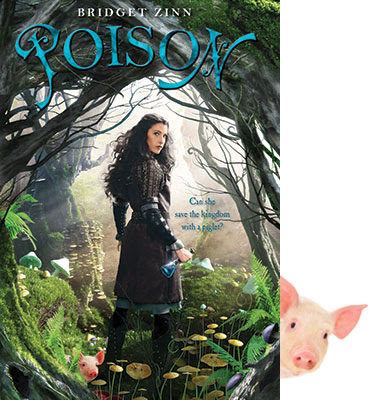 I've been eyeing Poison and Sky Jumpers for a little bit, but I'll have to add them to the TBR list. Yippee! Ilima will make a great zombie! I'm reading POISON right now. Bridget's story is heartbreaking. I'm glad that you're sharing it. And Rosie-oh, how I adore that pig. And Kyra too. It's my favorite read this year. Great animated film list. The Secret of NIMH is one of my fav. too! I am getting some serious cover envy from this post! Beautiful - and so is the story behind POISON. I'm definitely going to try to spread the word as well. And awesome movie choices, by the way! Great list - very unique movie choices! Eep the teletubbies baby sun. I never get that. I love the cover for Peggy's book. Wow, some AWESOME choices. I want to do a follow-up post on all the animated films I just couldn't fit on my top ten, and about half of these are on there. Shrek - soooo great. Awesome zombie picks by the way. And great blog. Definitely following from now on. Great movie choices. There are a few I haven't watched yet but plan too. Love Shrek. Shrek is definitely worth including, nay topping, the list of best animated, followed closely behind The Little Mermaid. I mean, how many quotable lines can you have in one movie? I loved reading your movie list! I used to watch Gulliver's Travels at my great-grandparents' house. NIMH came out around the time I was born, too (or a couple years later...? ), and I watched it when I was very young. You have made me want to watch it again! You have some wonderful titles in your top 10. I haven't seen Ratatouille or Guliver's Travels, but the others all bring up memories. Princess Mononoke is such an awesome film and one of the first anime movies I really loved. Beauty and the Beast AND How to Train Your Dragon - they're both fab, I will totally agree. And I do get Fantasia out of the DVD cupboard from time to time - it has dated a bit over the years, but it reminds of Christmases in my childhood when we used to sit and watch Disney Time on TV. This post is so full of awesome that I don't even know where to start! Yay for Pegs. Yay for Ilima. Yay for blogfests! Love the Silent Orchids cover. Beautiful and mysterious. Good movie choices. Ratatouille is on my list! Great choices, David! Nice picks here. We love animated movies! I love your blurb about where you were born, pretty cool. I like Shrek and Beauty and the Beast too. I also love Fantasy. Wow - two contest wins in a month! Thank you! Love all those covers. Bought Poison for my daughter. Excellent list! The Secret of NIMH was great. And Shrek... too funny! Oh, I love your list. How fun! Loved Beauty & the Beast, that's the second time I've seen that listed today. I love that you limited to animated classics. I mean, who can really sort through all the movies to find 10 "favorites". Love the covers. I can't wait for Sky Jumpers. Absolutely love Fantasia! Busting a gut over "creepy baby" award:) And yes, shut up and take my money! Chocolate is a vegetable, after all! Great list of animated films. How could I hae forgotten 'Fantasia'. Excellent choices for movies! If only the list would have been top thirty, hahaha. And the Creepy Baby award is just perfect for you, I say! I got my copy of Poison over the weekend and was so excited! Love your list - I haven't seen Nimh in forever. I loove all the movies on your list! Princess Mononoke was way cool! I adored Ratatouille. It's my favorite Pixar film. I'm not familiar with everything on your list, but I'm a fan of 10, 9,7 (especially this one), and 5. I've never seen #3, but I own the others. Great list and it's nice to meet you. Thanks for stopping by my blog. I'm now following you and I look forward to visiting again. That character on the Silent Orchids cover looks intent. Nice cover. I like Shrek & Ratatouille - the portions I've seen, that is. Princess Mononoke came in at #3 on my list as well, behind two other Studio Ghibli films. My top 7 were all animated, despite an uncategorized list. It was great idea you mentioned only animated movies. The Beauty and the beast is my daughter favouite. OH, I loved NIMH, Toystory, and Shrek! 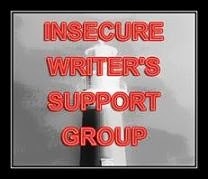 Congrats to the author's you're featuring. Ilima, better you than me. I hate zombie anything. My guys love Zombies, go figure! Holy smokes, DPK! It takes forever to get to the bottom of your comment thread. SHREK was super fun. Liked that one. BRAVE, too. Great list. Ratatouille was a favourite of ours, too! A nice selection of animated films. It's hard not to like a lot of these. Pinocchio - love it. How to Train Your Dragon has made quite a few lists. I grew up on The Secret of Nimh. Such a great movie! I'll sum up. Glad you did animation. How to Train Your Dragon is my all time favorite, but then again, I'm Swedish and a viking so that does pre-dispose me to it. I'd also add Finding Nemo to your list. Funny, poignant, great character growth, and just plain fun. You had me until Nimh. I hated that movie. My daughter is a good example of why. She read the book not all that long ago and really wanted to see the movie. She hated it, too. And so did my (younger) son (the older one didn't watch it). Basically, my daughter, who is 9, sat there and kept saying, "That's not right," "That's not right," "That's not right." She told me she never wants to see that movie again. Nimh and The Sword in the Stone are actually two of the movies frequently cited as almost sinking Disney in the 80s. Oh, and Black Cauldron (another horrible adaptation). 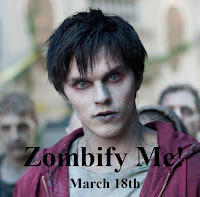 I want to read Warm Bodies after seeing the film... Awesome of you to share Bridget's book/story. Really puts things in perspective, I think. You're a Secret of Nimh fan?! Of course you are. :) Truly one of the shows that captured my imagination the most as a kid. That and The Last Unicorn. How to Train Your Dragon was such a fun movie to watch! Congratulations, zombie winners! :) And David, you get cool points for listing Princess Mononoke. We know where your heart lies when it comes to movies! You're a big kid! I didn't think to include animated films on my list and that was a mistake. So many great ones out there. Nice choices. Yay, you did animated movies and reminded me of one of my favorite movies ever, Secret of Nimh! I hat a pet rat I named Nicodemus (she was a girl, so went by her nickname Nikki). That name is always in my bank to be in a story some day, but the character must be worthy of the name. The Last Unicorn and The Secret of Nimh are my two favorite animated films of all time. The rest of the movies you listed are fantastic, as well. I always liked Sleeping Beauty, too. I am so sorry to hear about Bridget Zinn. My heart goes out to her family and friends. I loved seeing Toy Story on your list and the best part is I just ordered the DVD over the weekend. Still full price, I might add!! Your list is great. Tons of information along with your movie choices. Excellent job. Beauty and the Beast is a stunning and fun picture. I saw it in NYC and had to sit on the floor, because they oversold the tickets and there were no seats left. Great list! Totally giving a shout-out for Princess Mononoke! One of my personal favorites. Best of luck with Undead! Some great book covers there. I remember watching the Secret of Nimh many times with my children. It's a great one. I'm still blown away by the 3D in How to Train Your Dragon. It's nothing short of stunning. What an inspired idea to do animated films only. And aren't there some great ones! Thanks for your list. Glad you like Dundee! Princess Mononoke rocks! Love that you did animated films and congrats to the winners of the zombie books. Also love the covers revealed today. I've never seen the secret of NIMH but now I'm dying to! Billiant choice to focus on animated movies - so many good ones! I can't believe I haven't seen Nimh though - I have to fix that! Hello, David! I'll give a big yes to all of the movies on your list. Toy Story is such a classic. That's a shame about Gulliver's Travels. I'm glad you brought it back to our attention. Being a lover of animated film, your list is one of my favorites. Thank you, David. Excellent movie choices!!! Love the family friendliness of your list! Toy Story is an absolute classic! Shrek has kind of worn thin for me over the years, but the original is still great fun. I've seen How to Train Your Dragon a lot today. :) Great picks! Your choices are mostly in genres I don't see much, but Pinochio is a classic from my childhood. I haven't seen How to Train a Dragon and want to. Great list! Ah, Secret of Nihm and Beauty and the Beast... total faves of mine. Great list. Animated movies should never be overlooked (I included The Lion King in mine), because they can affect us just as much as any other kind of movie. Love the list! Great choices for the movies! I haven't seen The Secret of NIMH in ages. Thanks for sharing all that news with us today too. It's been a while since I watched Nimh. Bridget's story is both heartbreaking and inspirational. I think my kids would love Poison. I can't wait to read Bridget's book! All right, we'll just have to disagree about the best anime film ;) Your list is also awesome. Nice idea to focus on animated movies. Ratatouille is an underrated gem, and How to Train Your Dragon is right up there with the best of Pixar. I've seen half of the films on your list, mostly the classics. My little brother used to have a video of a different animated Pinocchio, which was a lot closer to the book and also rather unintentionally hilarious in spots. Can't remember if I've ever seen NIMH - I love that book though! Great movie selections...:) Congrats to the authors on the new books. Oh, I can't wait to watch Warm Bodies. I like your movie list, especially How to Train your Dragon. Also, really like the new book covers, those are some fantastic ones. I might even look some of them up, they sound good. Great movie choices. Shrek never gets old and Secret of Nimh was seriously game changing in its day. So true! Heavy on the CG and that's great! Love all of the Shreks, especially number II. Will there be a fifth? I wouldn't be surprised if there was. I'm thinking you like animated films? Cool. Those are lovely covers on the book releases. Congrats to the winners o f your giveaway. It's sad what happened to Gulliver's Travels. Great animation category, and Beauty and The Beast is my favorite. I still remember most of the songs. Have not seen all of your film picks, but Fantasia and Beauty and the Beast are definitely works of animation art. Great stuff! I agree! fantasia is like3 every single child's dream. I've seen all of these but no 1. I have to agree with you on most of your animated film picks, David. But I'm adding the caveat that I think Toy Story 3 should be on that list. It's the only animated film that's made me cry. I like the theme for your picks. Shrek is one that I'm kicking myself for forgetting for my list...not sure which one I would've kicked of for him, but he's worth it. Uh, congratulations on the creepy baby award??? I had too many movies to list too. I went with my favorite obscure movies. Great way to break them down into animated flicks, David. I think I've seen all of these, and loved every minute of them. I'm truly a kid at heart. Secret of NIMH - Oh how I loved that movie. I love the books too. Wow! You have a lot going on. So excited for Peggy's cover and I really want to read Bridget's book. I haven't seen many people specifically pick one genre, that's tough to do. How could I forget about Toy Story!?!? Not a big watcher of animated films but I did like Fantasia. My wife is the animated watcher in our family...and she liked Fantasia too!! Thanks for stopping by yesterday! I love all the TOY STORY movies, but I think I like the first and third one the best. Great list. I love How to train your dragon. So well done.